If you are running flowerSoft in more than one computer and you have to buy a new computer, do not get a computer running Wndows 10 for the time being! There is a big problem with computers running Windows 10 that slows down flowerSoft to a crawl when more than one computer is accessing it. If you have a server and Windows 10 computers accessing it, you are probably experiencing this problem. changed to improve I/O speed when writing to a WinServer Drive? get the bottom of this. All the computers are virtual, to the best of my knowledge. The reason for the hardware slowdown is because of a serious hacker exploit that was discovered on Intel and AMD chipsets. It is called Spectre and it has to do with the way the chips are able to do speculative execution of instructions by preloading a series of instructions in the instruction cache before it goes through the translation process. It was discovered by hackers that you could dump the contents of the cache and use that to access privileged memory. The solution by the chip makers is to disable the speculative execution functionality, which can be up to a 30% performance hit, depending on the type of application. 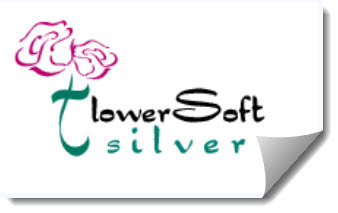 I don’t know how FlowerSoft fits into that realm, but it sounds like it is being affected. The chip makers have tried different patches but most of them lead to BSOD situations, not good. So, we’re stuck with what we got for now. I tried the remote desktop access option a while back and saw that it was pretty fast . So far the only solution to this problem that seems to work, is to run remote desktop connections from the Windows 10 computer to the server computer. This makes the workstation run the programs as if it was running from the server itself. More info on this problem when and if they become available. For now, do not buy or upgrade any of your computer to Windows 10. You can still get computers running Windows 7, which Microsoft will support until January 14th, 2020. Worst Windows Version 10 Ever! Is Windows 10 the Worst Operating System Ever?